It’s another Wednesday, and with each new Wednesday comes a new challenge at Freshly Made Sketches. This week, the super artistic Cindy Hall is our hostess and she has a great sketch for us. I needed a card for Mother’s Day, so I decided to use the sketch to help with that. 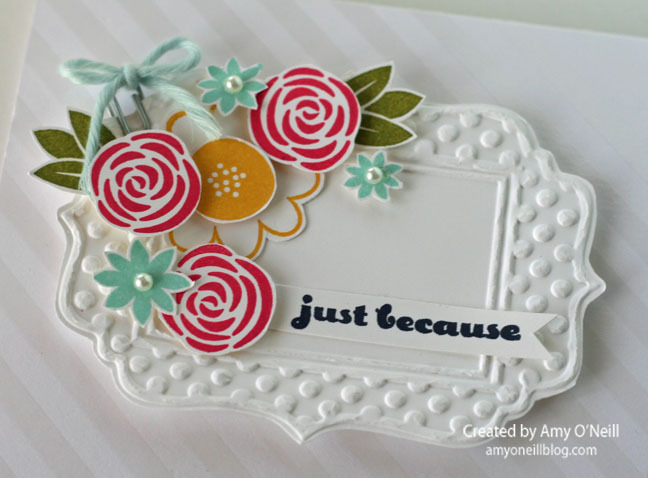 I used another retiring set, Garden Party, for the flowers and the newest Paper Pumpkin kit stamp set for the sentiment. I think Mother’s Day should be a happy occasion, so I went with bright, happy colors — Coastal Cabana, Strawberry Slush, Daffodil Delight, and Pumpkin Pie. I also used one of the Project Life grid cards on which to place the focal images. We hope you’ll be able to play along and join us with this challenge. It’s always fun to look through the gallery and see how others use the sketch. Meanwhile, you should drop by the Freshly Made Sketches site to see what the design team made for some inspiration. It’s time for another Monday Montage Blog Hop! 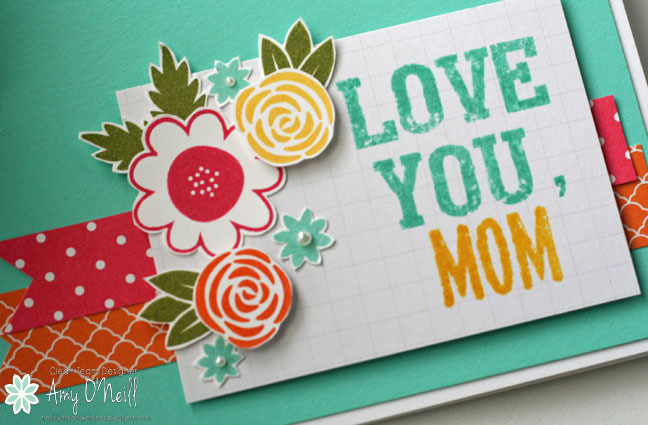 We have ten stampers who have made beautiful projects to share with you, and all you have to do is click on the links at the bottom of each post. I made some bright flowers since we’re having an icky gray day here. I wanted to make the card look clean and bright. 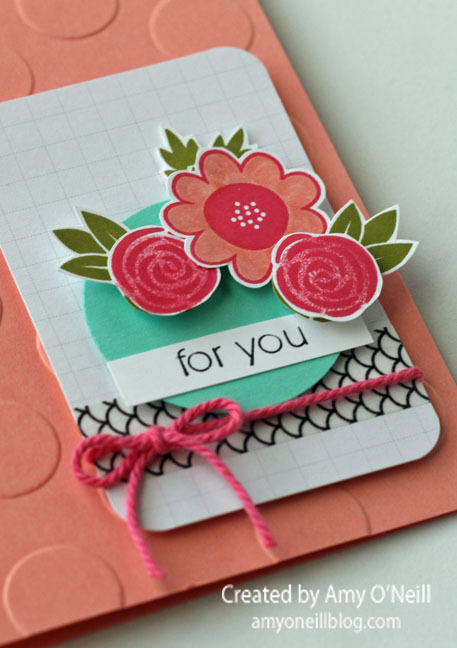 I used the Garden Party stamp set and fussy cut the flowers with my paper snips. 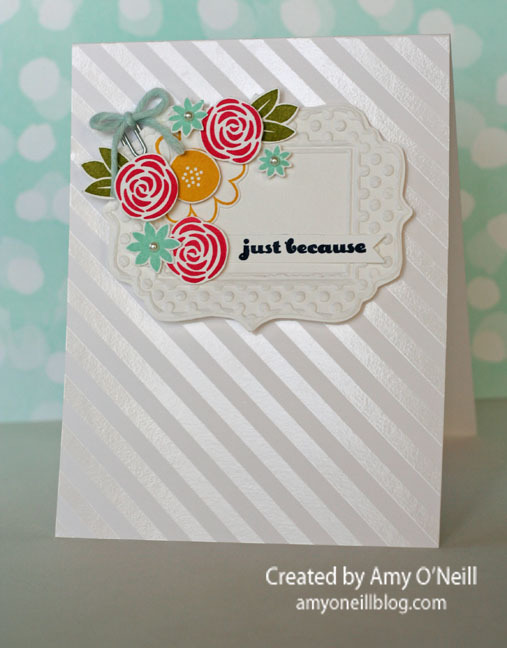 The embossed frame is one of the Fun Frames embossing folders, which I also cut out with my paper snips. 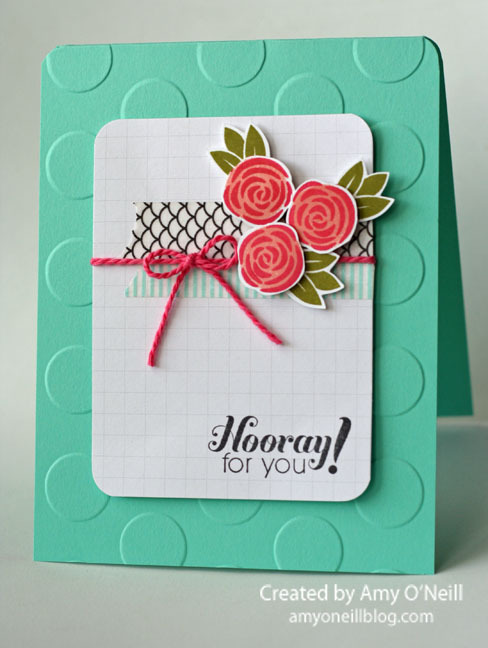 The card base uses some of the Irresistibly Yours Specialty DSP from the Sale-a-Bration offerings. I love how this looks plain just as much as when it’s colored. You are ready to hop on over to the amazing Breelin Renwick’s blog. If you prefer to work your way backwards, you can go over to the fabulous Wendy Weixler’s blog. Either way, make sure you make your way through the other nine blogs — you won’t want to miss any of them. 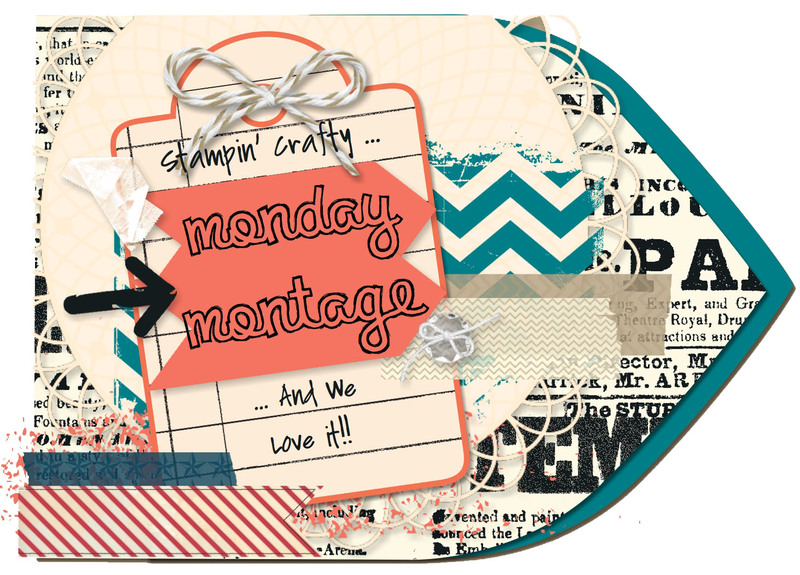 We have another Monday Montage blog hop for you today. There will be nine of us participating, so just follow the links at the bottom of each post to work your way through all of the blogs. It will be worth your time! The Garden Party to which my post’s title refers is the stamp set called Garden Party. This is a set that has been sitting on my shelf for a while but hasn’t seen any ink, so I decided that it was time for the stamp set to receives some love. I decided to use the same limited supplies and colors (Crisp Cantaloupe, Strawberry Slush, and Coastal Cabana) and make two different cards. 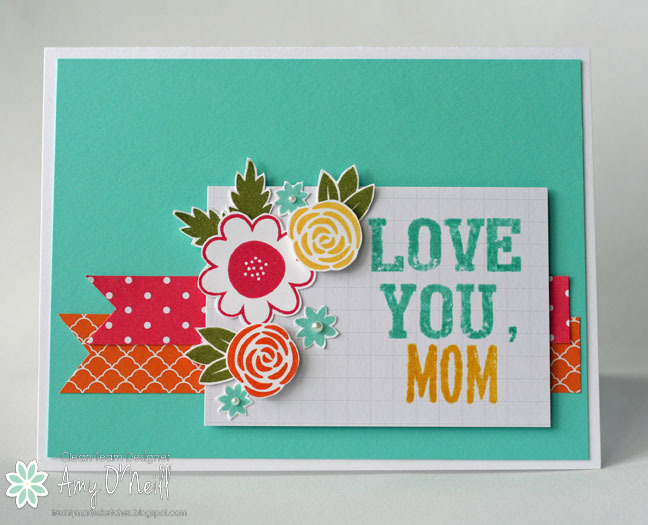 I used the Large Polka Dot embossing folder on both cards. I love this thing! 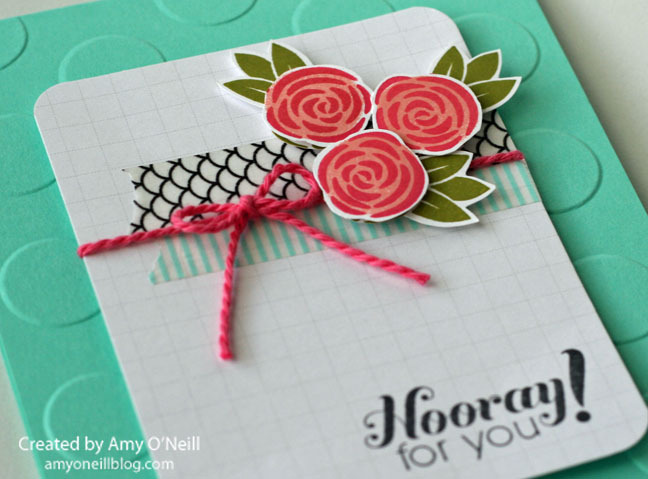 Other supplies that I used on both cards include Strawberry Slush Thick Baker’s Twine, Sweet Sadie washi tape, and Project Life 4″ x 3″ Grid Cards. To make the smaller flowers, I took a sponge dauber and lightly inked it up with Strawberry Slush ink and “stamped” that on Whisper White card stock. 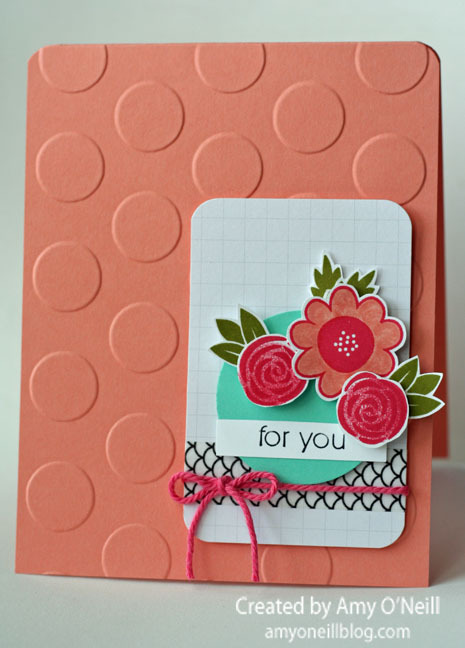 I then took the flower stamp and stamped over the circle made with the sponge dauber using Strawberry Slush ink. I used the same technique on this card, but used Crisp Cantaloupe ink for the base layers of the flowers. The sponge dauber fits inside this flower perfectly. I used the same sentiment stamp on both cards. On the first, I just colored in the “for you” with my Basic Black marker and stamped only that part of the sentiment. You can get two totally separate uses out of this one sentiment that way. You’re ready to hop on over to Breelin Renwick’s blog. She always comes up with such beautiful and creative projects, so I know you’ll love her post. If you prefer to work your way backwards, you can venture over to Wendy Weixler’s post. She is another master of creativity and fabulous ideas. Either way, work your way through all of the posts.